At Jerry’s Artarama, we know that you need a steady supply of paper, pencils, clay, and more to let your creative spirit soar — but we also know that keeping your personal studio stocked can get expensive. That’s why we strive to offer our customers the best possible deals on all your favorite art supplies, whether you’re a professional buying for your business or a student looking to build your portfolio. Are you a frequent shopper looking for the Nashville art supply store with the lowest prices? Then we’ve got the perfect deal for you! Sign up for the Jerry’s Artarama VIP Card and you’ll save 10% off of every purchase in our store. There’s no minimum purchase requirement, no fees to join, and no hoops to jump through — just honest savings with no exceptions. We also send our VIPs emails with exclusive deals that you won’t find anywhere else. Whether you’re looking for excellent Nashville custom framing or an easy way to replenish your paper supply, your VIP discount will help you save on everything you need for your next creative endeavor. If you have friends and family members with a creative itch, help them scratch it with the best gift you could give: a Jerry’s Artarama gift card! This handy card can be loaded with any amount of money and is accepted at all Jerry’s locations. It’s the best way to let the artist in your life choose their own supplies and materials without having to guess what they want. Your gift could lead the way to greatness in the form of custom canvases, fantastic framing, new tools, and so much more. The lucky recipient is sure to thank you! We work hard to keep our everyday prices low so that you can get more for your artistic dollars at Jerry’s Artarama of Nashville. We even match competitors’ coupons in our custom frame shop, so you’ll get guaranteed low prices on all your framing needs. We also have special promotional deals on certain brands and products on a regular basis, so check back here often for the dates of our sales. 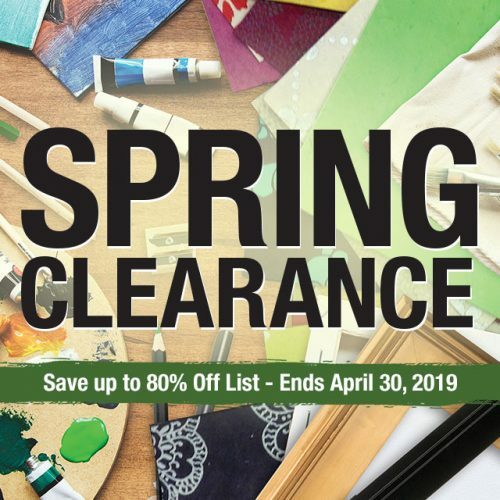 You can get deep discounts on seasonal items, last year’s models, and many of your favorite supplies when you shop smart, so plan your next trip to the store to stock up on our sale items to get the best deals. 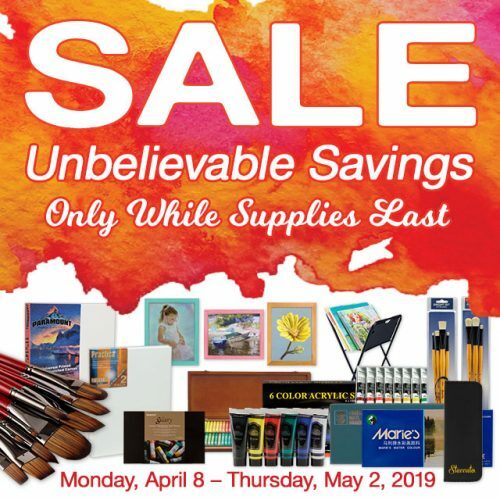 Visit Jerry’s Artarama in East Nashville today to take advantage of our amazing sales and promotions to find great deals on art supplies and more!